We know that finding the right packaging and label products for your eCommerce business can be a real challenge, especially as we have over 2,000 products to choose from. We also know that budgets are often very tight, which is why we offer free samples of most of our products; so you can try before you buy and be sure the products are right for you before placing a paid order. To help you find the right product for your needs, you can easily find the products you need with our All Products Search, explore options suited to your size requirements with Search By Size, and we allow you to take up to 5 free product samples. If you're struggling to find the best product, we're here to offer you expert advice and recommend the most suitable products in our range for whatever your requirements may be. As we send our samples out via Royal Mail, we're unable to send some of our larger products such as bubble wrap rolls and cardboard boxes. Our excellent customer service team are more than happy to talk through your options with you, and in some instances, we can send you a smaller version of the product so you can assess the quality or colour of the product. Ordering your free samples couldn’t be easier, just click on the grey ‘Free Sample’ button for the relevant product to add it to your basket. 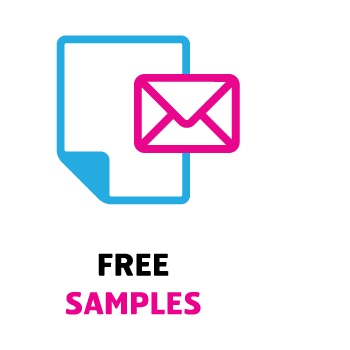 You can create an order of just free samples, or add free samples of new products to your existing paid orders.